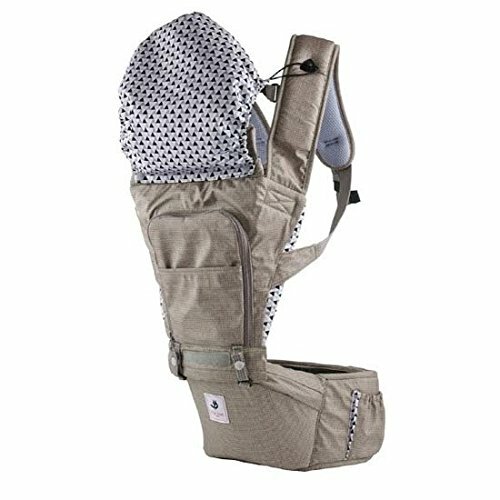 SPECIFICATIONS: Recommended Age: Newborn* to 36 months Weight range: 7 to 45 lbs Front panel size: 11.25" wide x 14" tall Shoulder strap length: 23" extending up to 39" Waist belt circumference: 24" adjustable up to 40" (add additional 9" with waist extender) Recommended for body heights of 5' to 6'5" Carrier weight: 1.6 lbs Materials: Shell/Outer Lining - 100% Pure Cotton Inner Lining - 100% Pure Cotton Mesh - 100% Polyester *For babies under 4 months of age, the Pognae Baby Carrier should be used with the Infant Insert accessory. If you have any questions about this product by Pognae, contact us by completing and submitting the form below. If you are looking for a specif part number, please include it with your message.